The objective of writing this letter is to appreciate the trainee who is working on a probation period in your organization. Sending an appreciation letter is a great way to show thanks and to maintain strong relationships with people in your network. By doing, you are honouring his commitments which he has given you at the time of joining and has proved the same also. The objective of writing this letter is to appreciate the trainee who is working on probation in your organization for the good performance and hard work that he/she have put up. It is considered to be a professional way of expressing your gratitude towards the person. Writing a letter like this is considered to be a professional way of expressing your gratitude towards the person. The person will also feel special and appreciated for this noble letter of appreciation written by you. But take into consideration that the person sometimes may feel that you are praising them simply. 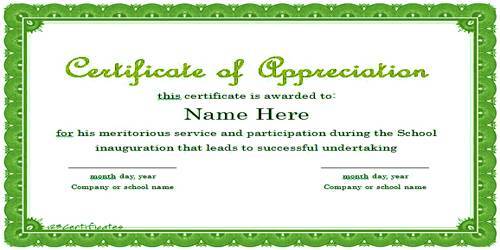 The person will also feel special and appreciated for this noble act of appreciation written by you. So, be careful not to add masala to it. Making it simple and sincere is the best. Thus, an Appreciation letter can bring forth positive changes as it helps in motivating and encouraging good work and efforts. Apart from appreciating and congratulating him or her also encourage him/her to achieve this type of success in future as well. It can help also build a positive environment suitable for growth so that the person who is being appreciated by you becomes more confident in his/her field of work which can bring a positive change to the company/organization. First and foremost, it is vital to appreciate the person with complete sincerity. You must congratulate them on their achievements. This will help in increasing their self-confidence. Clearly explain the reason for you to show appreciation for that particular person. The tone of the letter should be polite. I am feeling very proud to inform you that you have successfully completed your training with (Name of the organization and department name) and have proved yourself worthy with your achievements. (Describe in your own words). I truly appreciate the way you work in a team and the maintenance of a cordial relationship with each of your team members. Your professional attitude towards your project is commendable. (Cordially describe your Appreciation). So as a token of appreciation, the management has decided to take you on a permanent payroll and offer you the position of (Designation) in our organization. I believe that you will work with the same spirit and will not disappoint us at any point in time. Good luck and welcome aboard.